UPDATE: I will admit when I'm wrong. The Rock 'n' Roll Denver did not move to Commerce City. I was contacted by their PR and was advised that it in fact starts at the Adams County Fairgrounds. 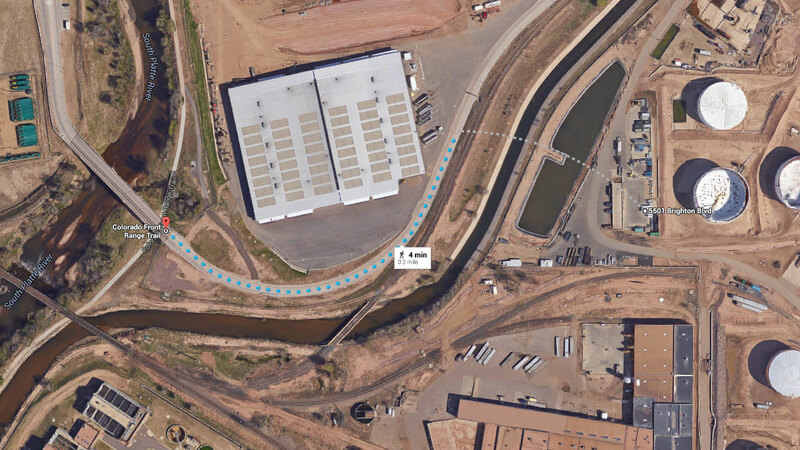 Unfortunately, it still runs through Commerce City and local runners that know that stretch of the Platte just don't run there. The biggest issue is Denver seems to becoming harder and harder to get a permit for run races. Considering the run crazed nature of our town, I don't get it. The race does not run through the refinery depicted in the original post. It only gets within .2 mile of the facility. Arguably the mecca of the running sport (perhaps Eugene may contest this,) Denver can't seem to buy a break when it comes to distance events this summer. Earlier this summer, the Revel Marathon had several hundred participants show up, but the buses did not. I give Revel credit as their only issue was trusting a guy named Tony with the busing of athletes. As it turned out, Tony's PUC complaint list was longer than Meb's fan club mailing list. 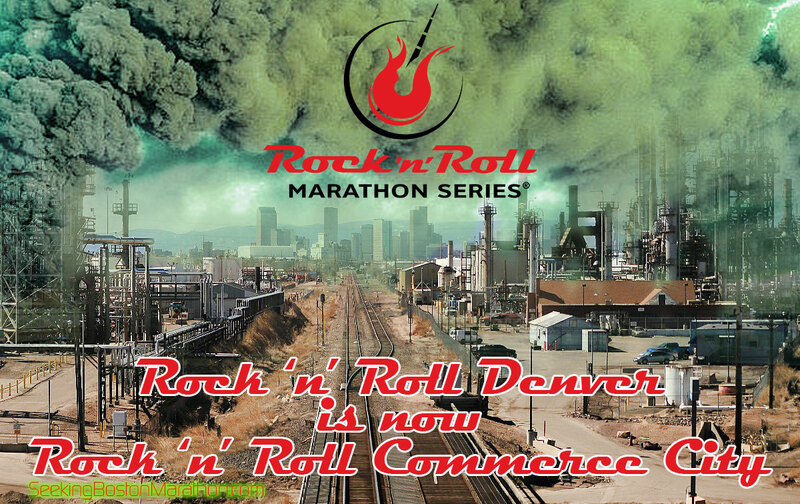 Not to be outdone, the Denver Rock 'n' Roll Marathon has been moved outside of Denver to (drum roll please...) Commerce City! Rock 'n' Roll Commerce City doesn't exactly roll off the tongue and doesn't seem to fit with the likes of Rock 'n' Roll San Diego (I've run twice,) Montreal, New Orleans, and the list goes on of every glamorous city you'd want to race in. Every part of Denver has a redeeming quality, but Commerce City isn't what you see in the "Visit Denver" commercials. As a Denver native, I associate Commerce City (as many do that don't live in Commerce City) with the Oil Refinery that burns your eyes and nasal passages when you pass through along I-270. It's also home to the Rocky Mountain Arsenal National Wildlife Refuge. If that sounds like an oxymoron, that's because it is. The Rocky Mountain Arsenal was a chemical weapons manufacturing center in World War II and also served as a prisoner of war camp. 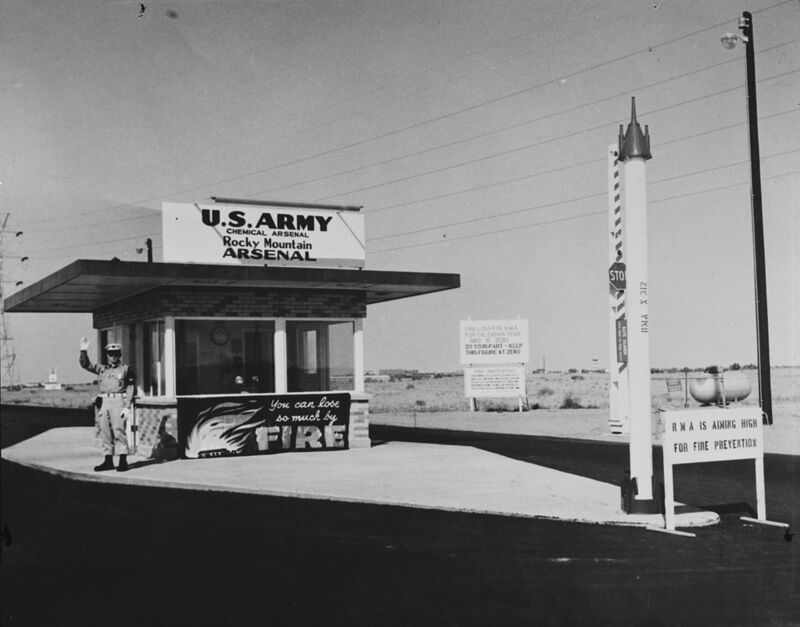 Parts were later sold off to the old Denver Stapleton Airport and eventually closed in 1992. Just as bright as turning Denver Rock 'n' Roll into Commerce City Rock 'n' Roll none other than George W. Bush turned it into a nature preserve with the Rocky Mountain Arsenal National Wildlife Refuge Act. While it's now home to over 300 species of wildlife, I wonder about the effectiveness of the toxic cleanup of things like Sarin Gas. 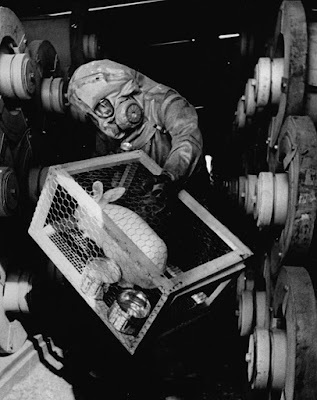 For some reason, arsenal, prison camp, airport, and toxic waste clean-up are not the images you want folks to conjure up when they're thinking of dropping "hard earned" wages on a destination marathon. Misconceptions of Denver's other smelliest part, the Purina dog food plant belonging to Commerce City aren't true. It's on the other side of the railroad tracks and belongs to Denver. Commerce City is however home to Denver's fifth favorite professional sports team, the Colorado Rapids. So, they have that going for them. "Lower Commerce City is terrifying. With pilot flames and maze-like one lane roads, it is one of my least favorite places to drive." "Thanks to Suncore and extremely cheap housing and real estate, Commerce City has become a sort of Mecca of industry meets meth users meets grey hound gambling megalopolis." According to local 9News, the event this year was plagued with permit issues and complaints from locals. ""We got essentially informed that we would have to come up with a new plan," said David Benjes, one of the organizers. 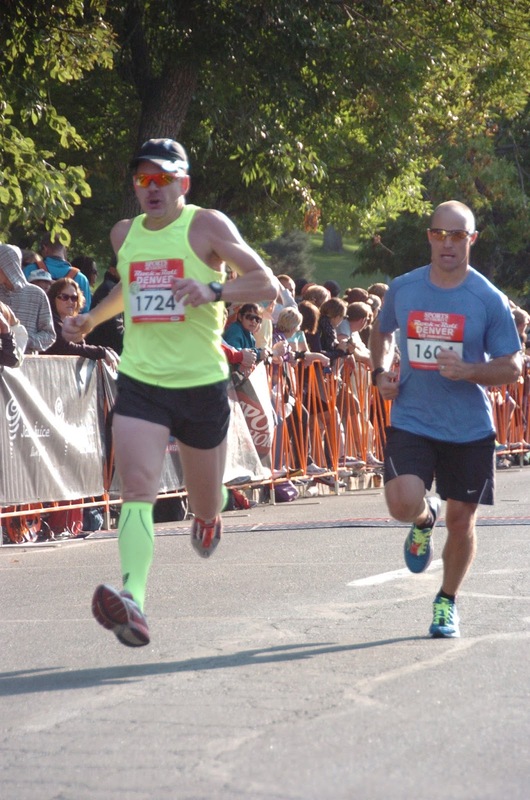 He added the Rock 'N' Roll Marathon planners learned of the changes "sort of late in the game...It's a solid course. It's a rural course. We'll have bands every mile," Benjes said. Umm...not sure if David has run through Commerce City...they're not known for attracting runners. Given all that, with the race right around the corner on the calendar, it sounds like they made the best of the situation, but having raced and paced the Denver Rock 'n' Roll before, this one is not on my list this year. If you do plan to run the event, you might want to pack your own water. Or as ESPN's Stephen A. Smith would say, "Cmon man!" Author's Note: Revel made the best of the situation by offering full refunds--see POST. I'm hoping Revel can survive all the refunds and I'm also hoping Rock 'n' Roll can survive this year's P.R. challenge and bring the race back to it's namesake.